Running your own small business isn’t easy – especially because finding new clients can feel like a job of its own. Whether you’re seeking out new long-term customers or are trying to replace a last-minute cancellation, you need to know where to look for leads. And even then, turning leads into customers often requires a great deal of time, money, and patience. Fortunately, there are plenty of websites and platforms built specifically to help you find leads as quickly and easily as possible. One such platform is Thumbtack, an online marketplace that connects local businesses with customers looking for their services. Housecall Pro is the ultimate software to manage and grow home service businesses. With our scheduling, payment, marketing features and more, you can streamline your business and maximize work efficiency. Try Housecall Pro free for 14 days. Potential customers describe the type of service they need and set parameters for how far the company can be from their home. This ensures they connect with the most relevant local businesses. Thumbtack then emails information about the lead to service providers who offer that service within the selected area. When you receive an email like this, you have access to the details you need to decide whether you or not want to apply for the job. Service providers pay a fee (which varies by industry and goes up to $15) to send the potential customer response with their contact information. Basically, Thumbtack just makes it easy for anyone to find the best local talent for a given job – which, in turn, makes it easier to for you to find and connect with hot leads. When it comes to standing out on websites like Thumbtack, timing is everything. If you take too long to respond, it won’t matter if you’re the best person for the job – because someone else will have beat you to the punch. So, make sure you receive emails from Thumbtack on your phone and reply to promising leads as quickly as possible. When you’re already multitasking all day long, responding to every incoming Thumbtack request can seem like an extra burden. Fortunately, you can write and save prepared replies, so you have always a response ready to go. Craft a friendly, professional message that you can send out when you get a notification from a potential customer. Keep track of how many leads you earn through Thumbtack and the amount of revenue they’ve provided to your business. This allows you to ensure that your investment is worth it. If you’re not seeing a healthy return from the time and fees you’re spending on the site, you may need to revamp your profile and rethink your strategy for messaging potential customers. Though it’s one of the most popular platforms in the gig-economy, Thumbtack isn’t the only place you can look for leads online. There are quite a few other options you can try – and why wouldn’t you? Searching for leads in multiple places will increase your potential for scoring new customers. So, let’s take a look at some of the best alternatives to Thumbtack. Gentask is an on-demand service marketplace that works very similarly to Thumbtack. Customers log into the mobile app or website and explain what type of service they’re looking for. Then professionals can submit quotes and the customer chooses which professional they’d like to hire. As an FSB owner, you can register and specify the types of services you provide. Then, when a customer posts that they’re looking for a business like yours, you have an opportunity to respond to their request and potentially get hired. Shiftgig is a mobile marketplace that allows you to connect with individuals and businesses looking to hire specialists for all sorts of odd jobs. Once you’re registered as a Shiftgig Specialist, you can use the mobile app to apply for short-term jobs that make use of your skillset. 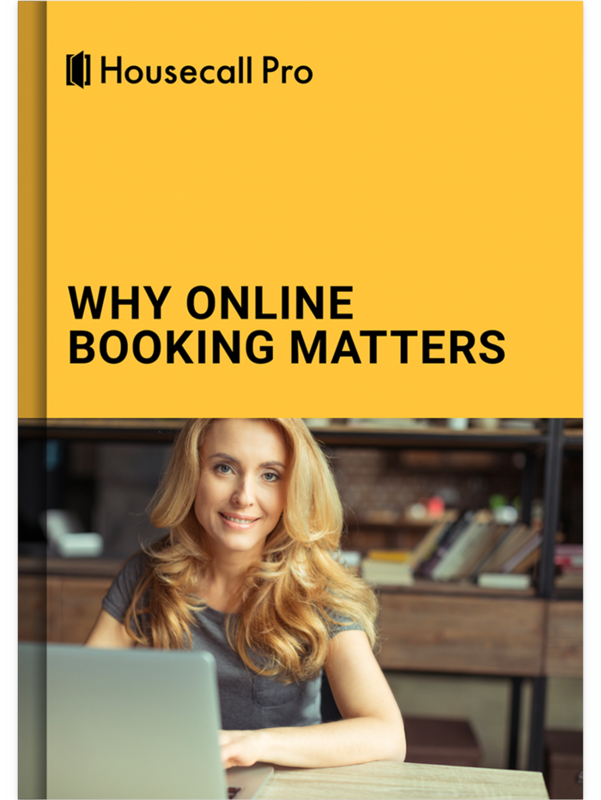 Since you get to choose where, when, and how often you work, it’s perfect if you or your team has extra availability for a limited time and needs to pick up a few quick jobs – without the hassle of seeking out leads on your own. This is another site designed to help professionals like you find and connect with local customers. It’s a great option for service providers across a large range of industries, including everything from home improvement specialists to pet care to life coaches. Once you’re verified as a trusted professional, Bloomchase matches your skillset to a customer’s specific needs. Potential customers can search Bloomchase for the type of service they need, view your profile, read reviews, and ask for a quote before booking you. BidWilly is a task management website focused on homecare services like maintenance, repairs, cleaning, and lawn care. Its purpose is to make it easy for homeowners to easily find high-quality professionals who fit their budget. So, whether you’re an independent contractor or small business owner, you can create a profile to tell homeowners about the services you provide. Since customer ratings influence your success on BidWilly, make sure you ask satisfied customers to leave a favorable review once a job is complete. This site makes it simple for businesses and people to find help for just about anything they need to get done – from landscaping and home maintenance to furniture assembly and other odd jobs. While some of the listings are for casual, short-term requests, you can also find opportunities with the potential to become long-term customers. Simply browse through customer requests to see if anything matches your skillset. Though it’s not tailored specifically to FSBs, potential customers use this task management app to hire skilled Taskers for a variety of jobs. Popular task categories include handyman, cleaning, and moving. When you join TaskRabbit, you’ll be notified of nearby jobs that match your service offerings. You can choose which ones you’d like to accept, confirm details with the customer directly, and submit an invoice through the app. Like many of the resources listed here, you can use Wonolo to search for hourly or daily jobs that fit into your schedule. However, the thing that makes Wonolo stand out is the fact that it caters to businesses and brands, rather than individual homeowners. Businesses use the site to hire talent on-demand for a number of different industries, which makes it an awesome resource if you’re looking to work with bigger companies. Staffy is an app that can help you find new clients and jobs that fit into your existing work schedule. It connects with hospitality businesses that need skilled contractors for a range of different jobs, both long-term and short-term. Since Staffy promises to provide on-demand staff within 90 minutes, it’s a good option whenever you’re looking for work on short notice – or simply looking to connect with customers who are looking for your exact skill set and availability.